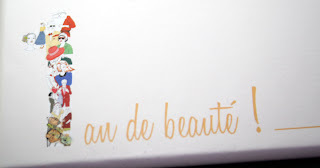 Plumpish Beauty: My Swap with Florence in FRANCE! Now, on to my swap with Florence in France. She is known on the correspondent site as "Satoru Kudo" if you are interesting in swapping with her in the future. 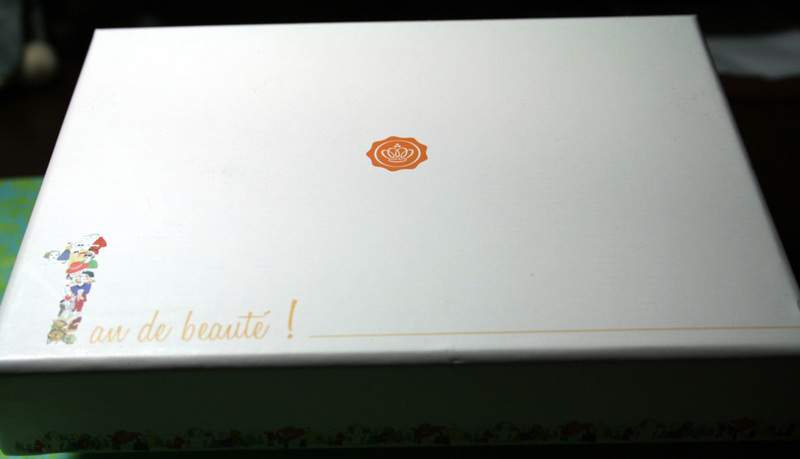 We had decided to exchange GlossyBox Canada for GlossyBox France as well as Julep Maven (US nail mail) for Kristal Box (French nail mail.) 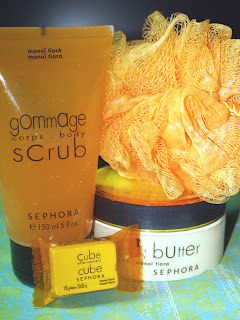 Of course, you can see she didn't just stop at the Glossybox and Kristal box..but she added several other goodies! 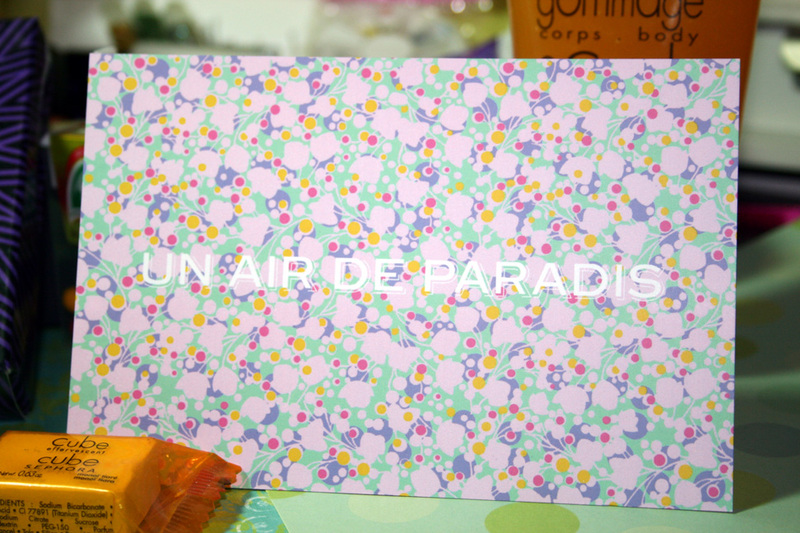 I got a lovely post card with a very kind handwritten message. That is always so thoughtful, right? She even wrote it in english even thought she uses a translator for sending notes. 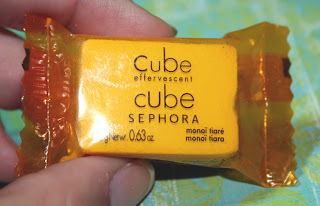 She sent me this bundle of coordinating Sephora products in such a lovely summery colour! 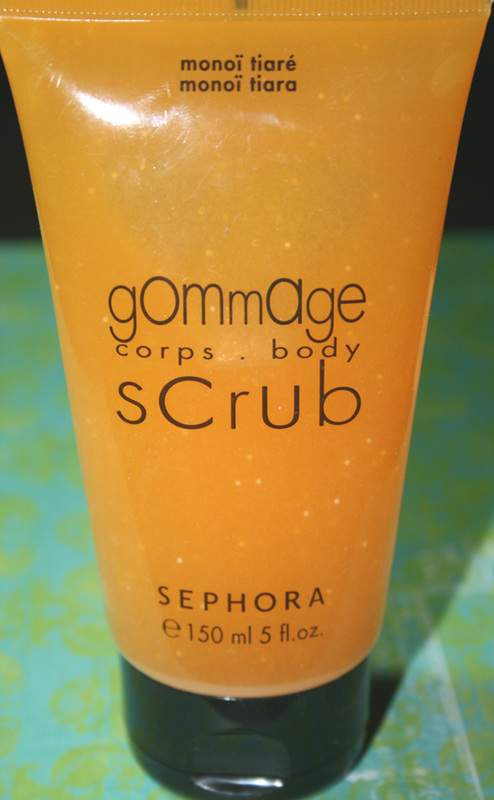 This is a huge 150mL body scrub in monoi tiara made with papaya extract. It smells amazing!!! It totally has the delicious beachy monoi scent! Another huge 200mL body butter also in monoi tiara with shea butter. It smells amazing!! Of course, the collection wouldn't be complete without a pouffe! Just in time, as I needed a new one. Besides, my husband has a bad habit of taking over mine and then I just can't use it! Men! These are Urban Decay rocks. 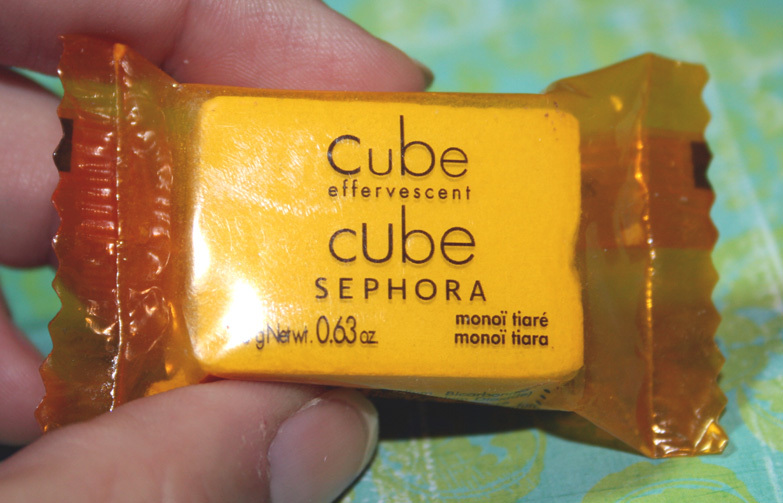 I've never heard of it before, but apparently you can use them in the corners of your eyes, a smattering on one cheekbone or ghetto-fabu-lize your manicure. All their words lol. It comes with lash glue that has a tiny little brush on it. I'll probably save that to make lash gluing easier. Next is these two Essence Glam Up! 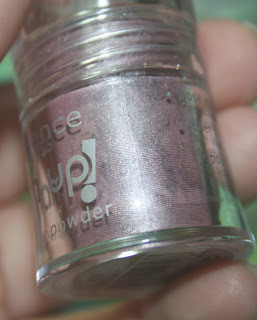 loose powders. 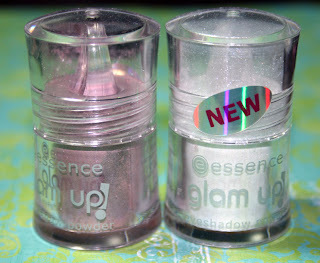 We just recently got Essence in Shopper's Drug Mart but I don't think I've ever seen these. These are quite generous. Almost the size of a nail polish bottle. This colour is called Let's Dance 03 and it's a pretty purple colour. One of my favourite colours! 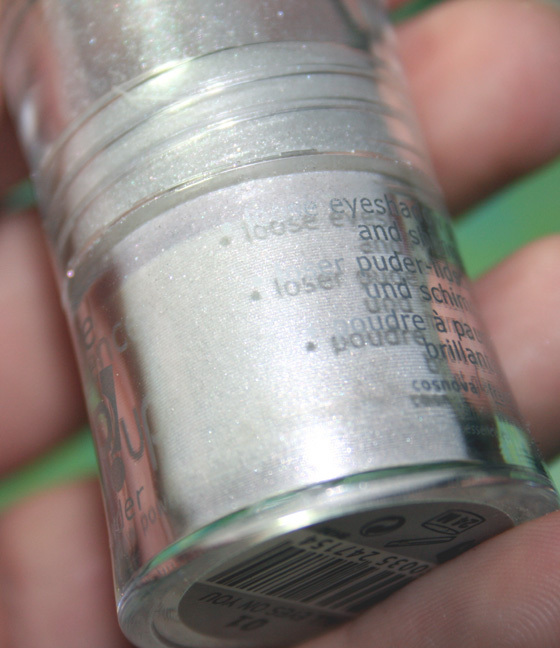 The other is called All Eyes On You 01 in a pretty white shimmer. Very pretty! 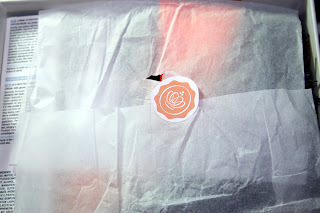 Next, I got to unwrap this pretty flower. It has a pin/hairclip on the back so you can wear it in on your sweater or in your hair. Now, if I wasn't spoiled with all of that..on to what the original swap was about! 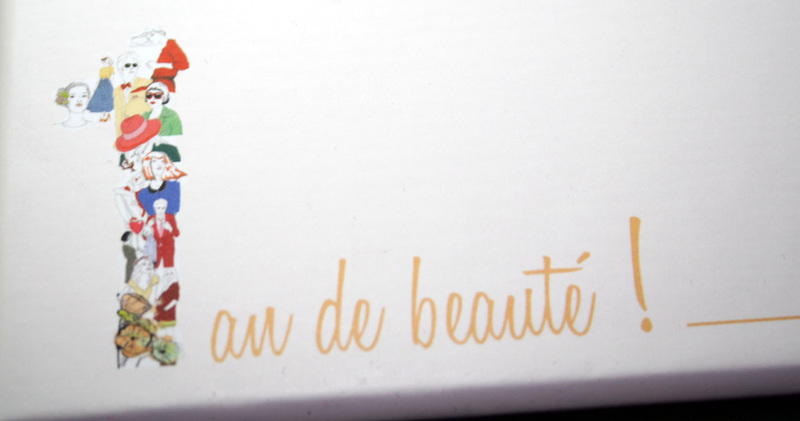 First, Glossybox France Edition! 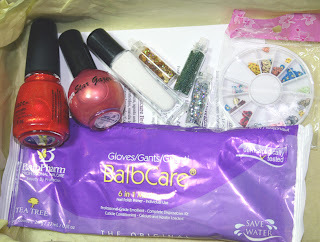 I was lucky to get a July box as they celebrated their 1st year anniversary! Here is how their Glossybox is packaged, I don't think as pretty as GB Canada, eh? 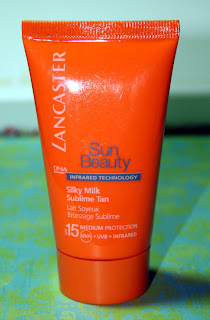 Following with the summer theme, next comes the Lancaster SunBeauty Silky Milk Sublime Tan with SPF 15. My first thought is...SPF 15? It seems a little low lol. Maybe, in France their sun isn't as hot? :P With my basic French, my understanding is that this product is to allow you to get some tan with some sun protection. I could be wrong..but who knows! This is a Coty product..it smells really nice. I guess it would be a good sunscreen for winter. 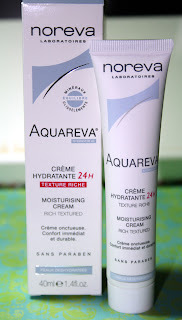 Full size is 175mL for 31 euros ($38.28 Canadian) which is SUPER pricey for a sunscreen. This sample size 50mL is values at 4,43 euros ($5.47 Canadian). The last item in my French Glossybox was a Nails Inc. nail polish. The colour on the bottom says, flammable. Oh, wait..that's just a warning. :P All kidding aside, I don't know what this colour is as it's not marked anywhere. 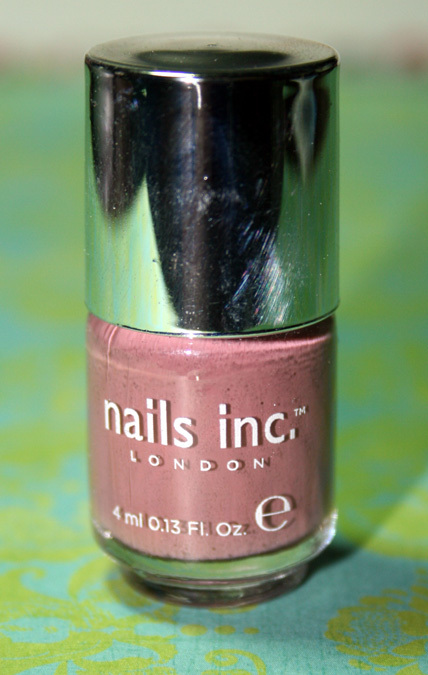 It's a dusty rose..not really my favourite. I've never tried this brand before and it actually goes on quite nice..one coat is almost opaque. A full size bottle is 10mL retailing for 14 euros ($17.29.) 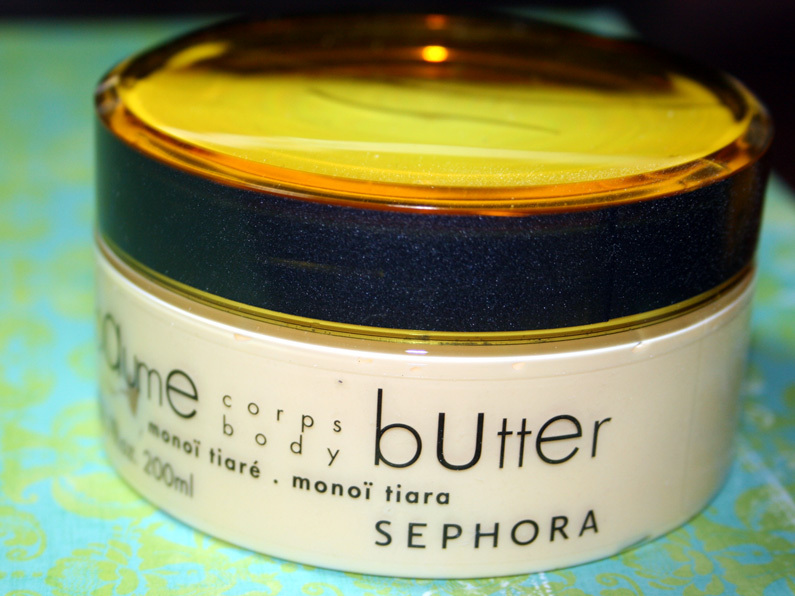 The sample is 4mL retailing for 5,60 euros ($6.92 Canadian). Pricey little polish. 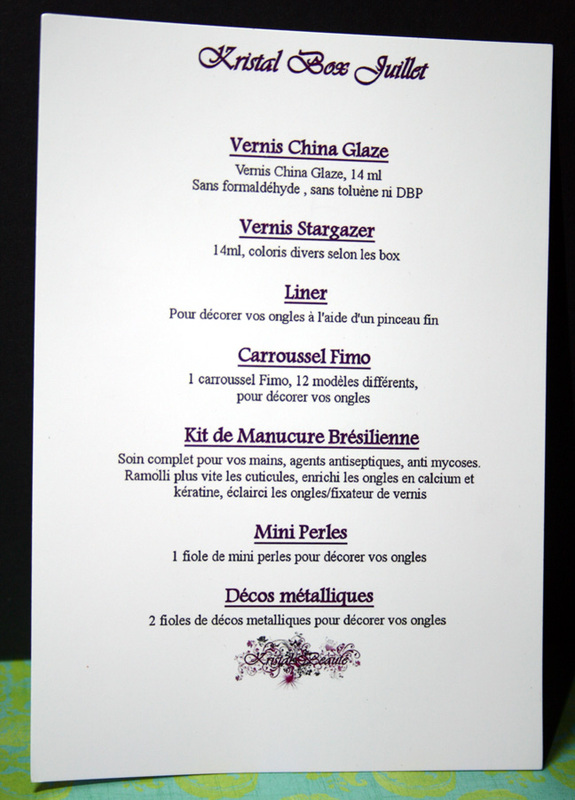 This is the contents of the French Glossybox. I was quite happy with it! I know a lot of girls were saying that the other countrys had better GB's. I did notice they had all higher end stuff than we did last time but I think value wise it's not that far off. My French GB Canadian value is $49.09. I would love to be able to try a GB from every country that has one! What did you think of it? 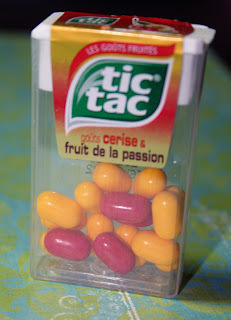 Next up, is Kristal Box for Juillet (July.) Kristal Box is a monthly nail polish box. Now, I adored this one soooo much that I wish I could sign up for it! The box itself is not a sturdy one and the packaging isn't really fancy either. 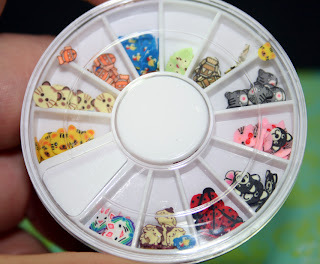 But...aside from nail polish they get a few other neat goodies! Here is the product insert that came with it. 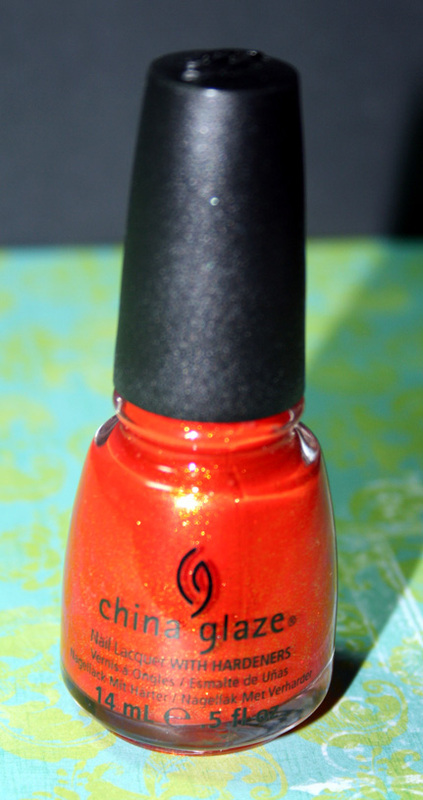 The first product is a China Glaze polish in Riveting. 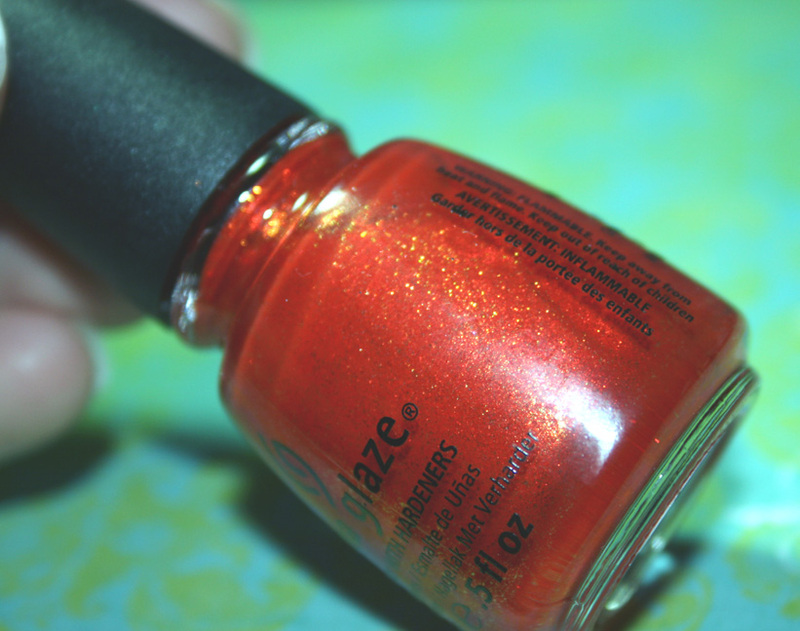 I LOVE this one..I'm totally on an orange kick right now! Plus, I only have 3 or 4 china glaze polishes, so I'm happy to add another to my collection. Here is closeup where you can see the yellow and orange micro shimmer. 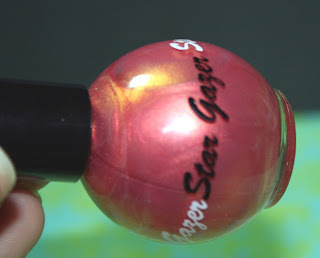 Here is a closeup where you can see it's a corally colour with gold shimmer. Incredibly pretty! Next is a liner for nail art. There is no brand on it. It's one of those really long thin nail brushes you can use to make lines or something. I don't really know how these work...so any advice would be appreciated! 1. Remove the old nail polish. 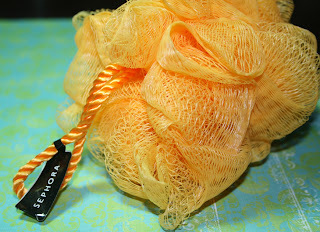 3. put on the hydrating gloves. Next up, these cutie little bottles. 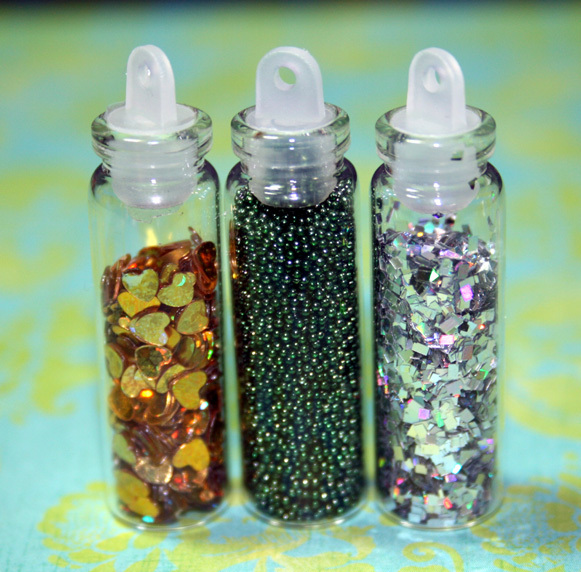 The one in the middle is mini pearls to make a caviar manicure. The ones on the left (gold hearts) and the right (silver squares) are just metallicy sequins to add to your nail art. I adore the little squares they are SUPER sparkly! Like blind you sparkle..hehe. Last, but not least..this super exciting package of 12 different types of fimo shapes. I'm sooo excited to try these since I saw something similar on a blog. 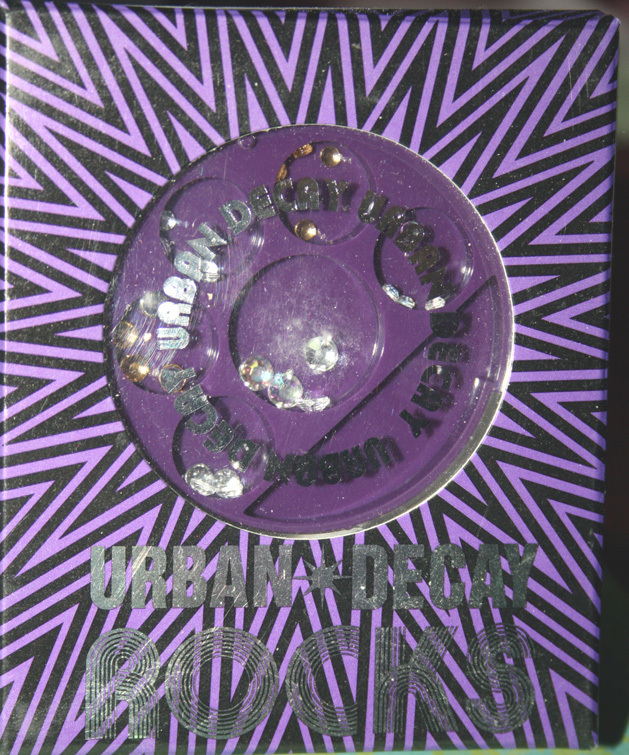 I loved these so much I googled on ebay! Is that possible..to google on ebay? lol. Anyways, you know what I mean. These are ultra thin cuts from a fimo stick. Just a little closeup..and how cute??? You see the pink hello kitty? The blue angry birds? :) So SO cute! 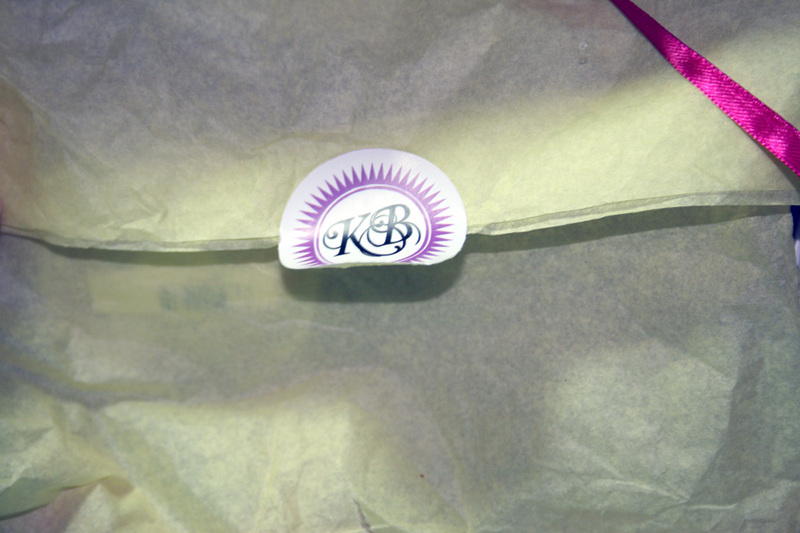 This is what the whole Kristal Box looks like. I honestly wish I could sign up for it. I didn't ask Florence how much this monthly subscription is...but I just really hope she enjoys her Julep box! 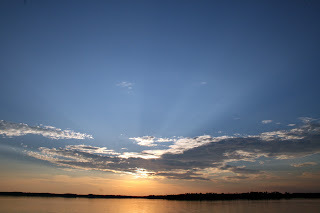 Now, off topic...I spent the weekend at the lake...and it was a gorgeous weekend..plus 30 temps but not insanely humid! I just love the glorious sun beams here. That's all girls, what did you think of the swap? Are you interested in doing something like that? Have you done a swap? ALSO.........I'm almost at 50 members follwing me at GFC!!! As soon as I hit 50 followers I will do a giveaway, so feel free to share my blog with others!!! I am loving that Kristal Box! I want one!!! It's awesome, I wish we could get it! The France GlossyBox is so cool! I have a giveaway starting on Wednesday! My first one, I'm so excited! I am in love , Good luck on your giveaway! Yes, I love them too..and sure! Ha, Yes sorry...I have a terrible sense of humour!!! 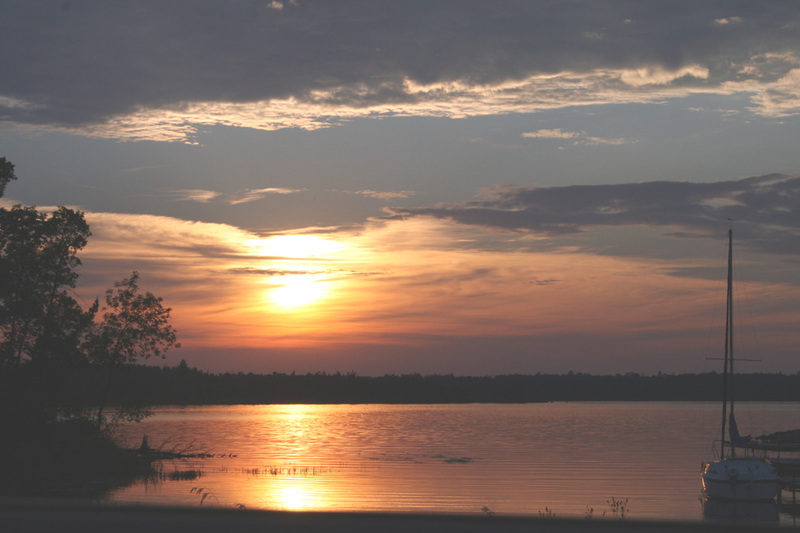 Thanks for coming by my blog, it's lovely to have you here! Yes, I was feeling a bit left out lol. It's so much fun..it's like getting a present. There was a couple girls who seemed to have been taken advantage of by one girl in the UK...it's such a bummer. Yes, totally should send the link to Julep and tell them that's what we want lol. 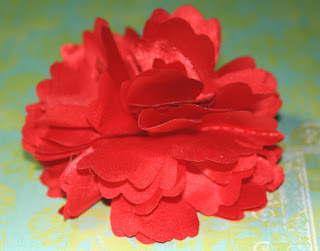 I LOVE to do a swap with someone.. that is such a great idea! You got soo many cute goodies! I'm the most interested in the caviar nails.. soo cool! There is a beauty correspondant facebook page that you can hook up with girls all over the world! I'm not sure what I would use to hold down the beads...I wonder if topcoat would work..
love this nailspolishes and also your blog! It's so nice!!! I follow you! Thank you for following! I will check out your blog as well! how cool is this?! I love swaps, they're so fun!! Yes! I'm super excited to try this stuff... I have sooo much I don't know where to hide things from hubby anymore! lol What country did you swap with? It's totally like pen pals! I swapped with Nadine in Japan and should be here very soon :-) I've long run out of hiding places! I get a dirty look every time I bring a package into the house! That's the nice thing about working 5 minutes from home...lots of interception happens here..hah! 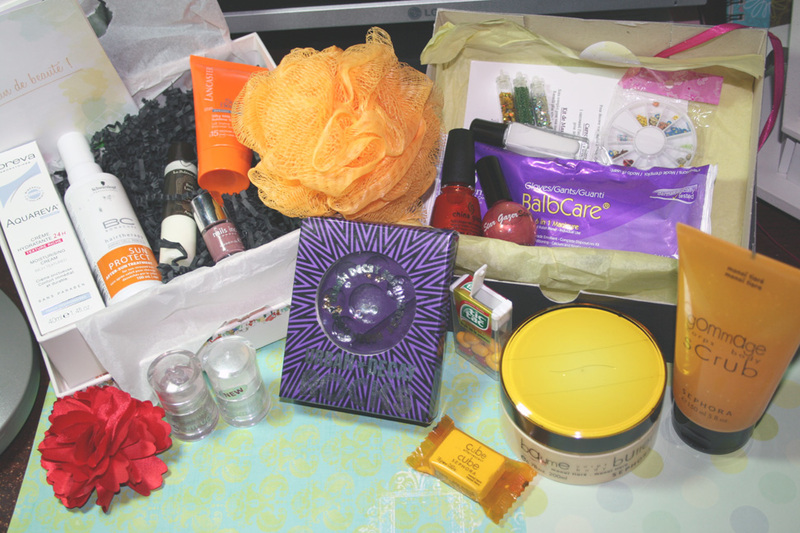 That's a great idea- swapping beaut boxes from other countries! You got some good stuff!! 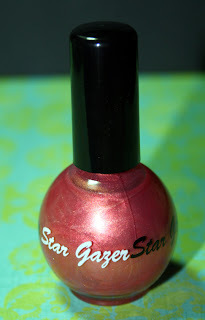 That stargazer polish is so pretty! Yes, it's fun! Have you tried it yet?